But alas, we can only taste the iconic suds at Brooklyn Brewery's home ground of New York. Or is it? Well, here's good news for you thirsty hounds. The award-winning craft beers have debuted at KPO Cafe Bar - the American brewery's first move of spreading its boozy dominance all over our tropical island. Aside from offering longstanding favourites, the Singpoare bar will be without a regular beer menu - a tradition upheld by the American brewery. Various flavours are concocted inline with the brewery's Brooklyn Quarterly Experiment (BQE); so expect beer variants that may delight or even shock you with every visit to this watering hole. 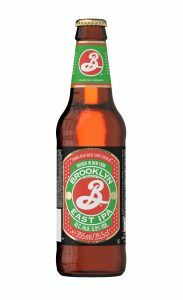 Originally a summer seasonal, the Brooklyn East IPA became a year-round offering as it should. With fruity hops that are not exaggerated, the golden beer is moderately bitter with a nice caramel finish. While containing 6.9% of alcohol, the sud is refreshing and totally drinkable.